Even though it is far from chilly, I get excited when the first of the hand crafted hats for children start rolling in. I can imagine the faces of the children who will wear these warm, cozy and colorful hats when the weather is cold and windy. For the past several years we’ve collected and distributed over 1500 hats to children locally, and not so locally too. 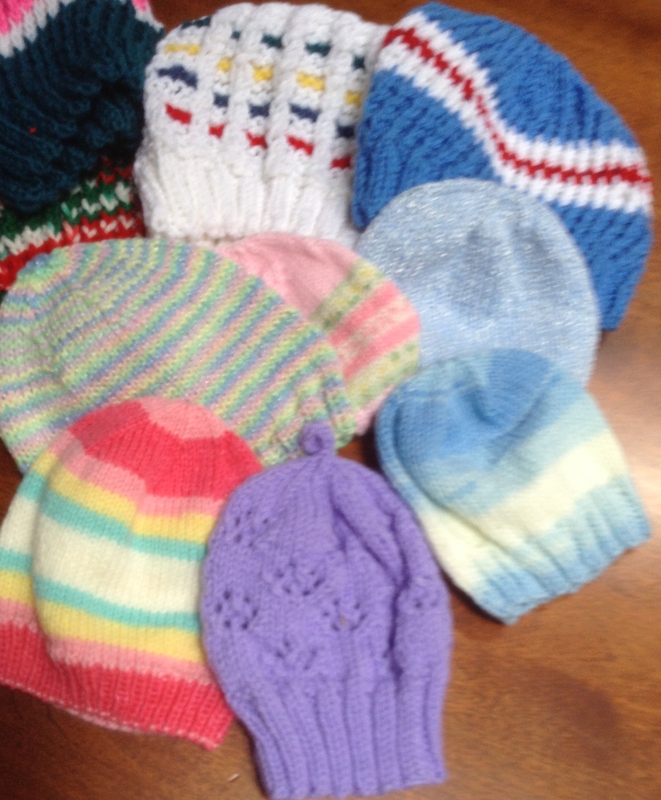 My friend Cathy and the Northern Lake George Rotary Club just sent me 40 of her beautifully made hats. I just love the colors and designs she selects. We’ve also just received our preemie hats – tiny gems to keep the babies at the Neonatal Intensive Care Unit at the Albany Medical Center warm and safe. For those of you reading about Hats For A Purpose for the first time, we collect and distribute handmade winter hats for children. Who makes the hats? Anyone who likes to knit, crochet or loom. They come from as close as neighbors down the street to towns around the upstate New York area. We’ve gotten hats from Arizona, Georgia and even Canada. Where to the hats go? Schools, churches, community centers and groups that clothe children for the winter. If someone needs a hat for a child we are here to help. I’d also like to find a more meaningful way to display the hats if anyone has any ideas.